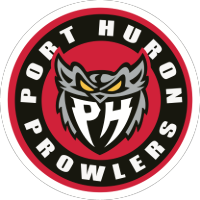 Port Huron, MI- The Port Huron Prowlers have shaken things up ahead of this weekends games with Mentor, by acquiring forwards Tom Kilgore and Artur Drindrozhik from Carolina, in exchange for defensemen Mike Baker. Baker will depart the Prowlers. In addition to this the Prowlers will welcome back Chris Paulin this weekend, and send Corey Simons on loan to Quad City SPHL. A source close to the team has heard rumors swirling about the teams intent to sign local talent Ryan Rotundi. “The past couple of weeks we have been thin at the forward spot, and this will definitely add some depth while making us a much stronger team down the stretch,” said Coach Pace. “Baker was the type of teammate who would always go the extra mile for the his teammates. While it’s tough to lose anyone who’s been apart of the organization as long as he has, we had to make a change so that we can continue to climb the standings. This trade will most definitely do just that” Pace stated. Kilgore returns for a second stint with the Prowlers. He spent part of the 2016-2017 season here before going to Carolina in the expansion draft. Last season Kilgore attributed 19 Goals and 27 assists for 46 pts in 54 games for the Thunderbirds. “Kilgore is a solid all around player, and that has been an area that we have been deficient in. He is capable of playing all situations and will add depth to our roster”, Pace stated. Drindrozhik the native of Grodno, Belarus, is just under a point per game player in the FHL posting 63 pts in 70 games. He also has appeared in 24 SPHL games where he posted 2 goals and 2 assists. A dynamic player who will add yet another dimension to our offense. Your Prowlers are on the road this Friday, but will return home Saturday to take on the Mentor Ice Breakers. Game time is 8pm, as it is the Silver Sticks Main Event. Be sure to stop by the McMorran box office to get your full season or individual game tickets!